The first step before changing the climate data is to set the Project Location. This is important considering that choosing one of the climatic zones of South Africa would not help you to locate the project correctly. 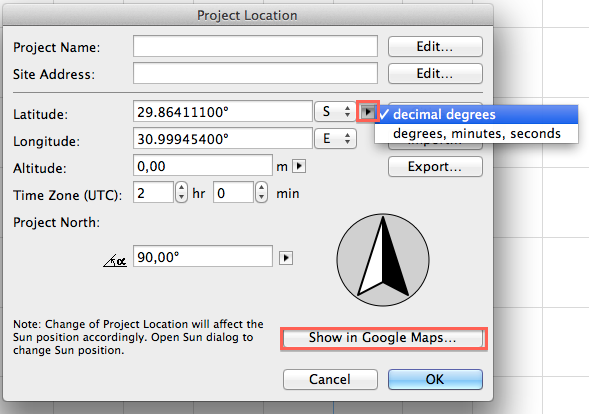 With the Project Location window open you can then enter a Latitude: and Longitude: Please note: this can be entered as “decimal degrees” or “degrees, minutes, seconds” by clicking on the arrow pointing to the right. 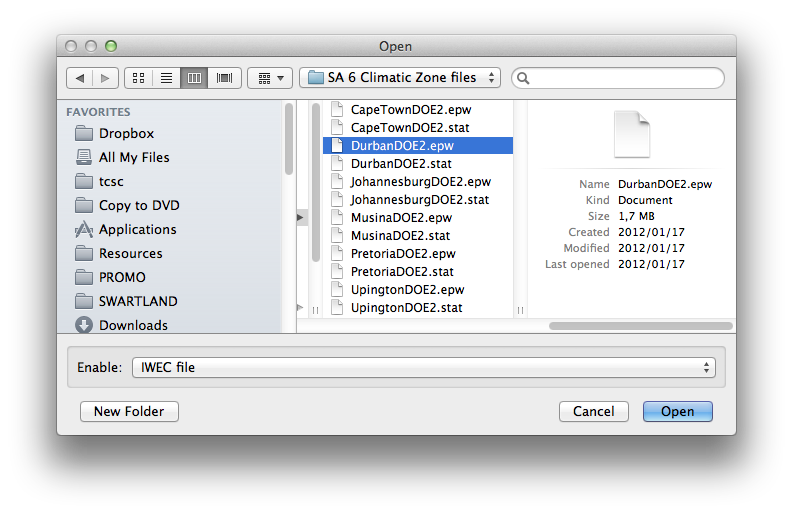 You can now select one of the 6 climatic zone files. This can be accessed by downloading as per my previous blog. Then click on “Open” to close this window. The climatic data referenced will now be shown. In this example I choose Durban. 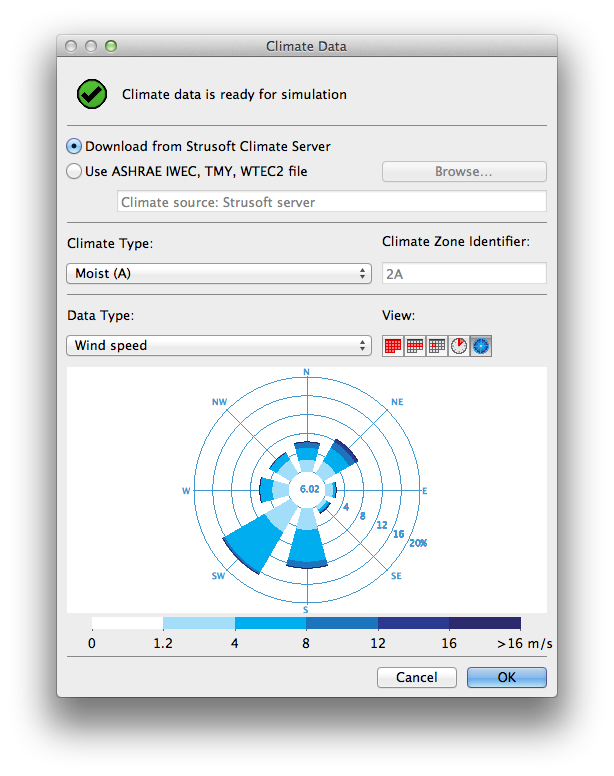 Please note: that this data would not be as accurate as the climate data downloaded from the Strusoft Climate Server which would be related to the exact location. 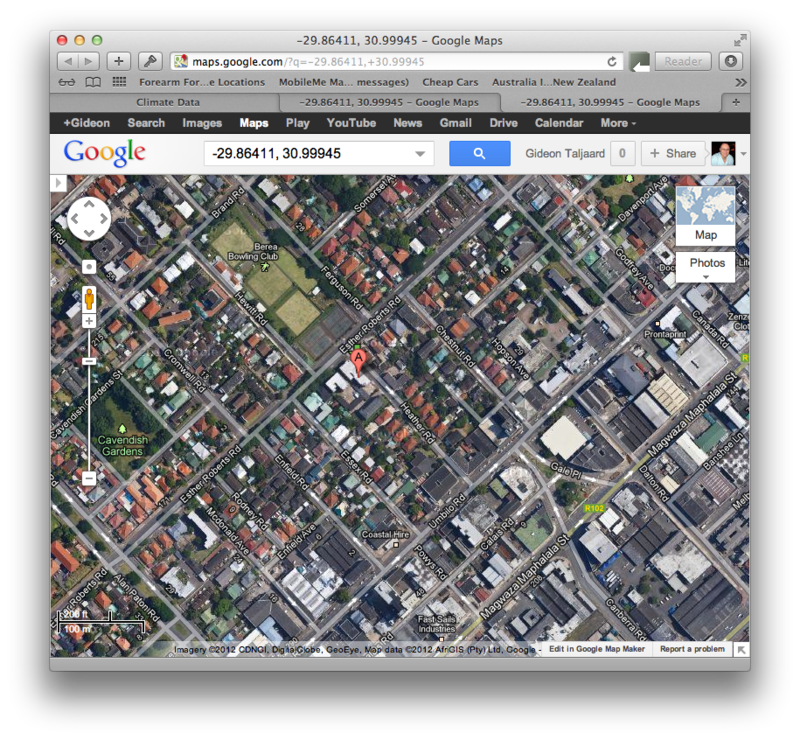 Whereas the Durban.epw file covers East London to Richards Bay? You can now close the Climate Data window by clicking on “OK”.